ብሕጊ ንዝምእዘዝሲ ብሕጋውነት ክትከላኸሎ ይከኣል ። ሕጊ ጥሒሱ ንዝብድለካ ዓማጺኸ እንታይ ትገብሮ? “ውሽጣዊ ጉዳይ ሃገርናኽ ናብ ውድብ ሕቡራት ሃገራት ከነቕርቦ ጉቡእ ዲዩ? ዝብል ሕቶ ክለዓል ይኽእል ኢዩ። ንሕቶና ባዕልና ክንምልሶ እንከለና “እወ ይካኣል” ዝብል መልሲ ኢዩ ዘለና። ስለምንታይ? መቸም እቶም ከም በዓል መስከረም ኔትን ካልኦት ልሉያት ገተርቲ መጋረጃ ቀታሊናን ዝጣበቡዎ ከውልነት ርኢኹም ከ ይገረመኩም ኣይተረፈን። ንሳቶም ኢሳይያስ ንህዝብና ብኣካሉን ከም ኩሊቱን ካልእ ዛንጡይ-ማንጡዩ ፈታቲሑን ከምዝ ሸጠና እናረኣዩ፡ ቤት መንነት ምዃኑ ስለንፈልጥ ኣባይትና ብቡልዶዞር ከዓኑ እናረኣዩ ናብ UN ምጥራዕና ንሃገር ኣሕሊፍ ና ነረክባ ከምዘለና ኣምሲለም ክጉስጉስሉስ ኣይገርመኩምንዶ? እንተዘይገሪምኩም እቶም ተኸላኸልቲ፡ ሰብ ረብሓ ሽያጥ ኣካላትና ምዃኖም ስለዝፈለጥኩም ጥራይ ምስ ዝኸውን ይመስለኒ!!! Please ignore this guy who keeps calling Eritrea ባሕረነጋሽ (according to him an Ethiopian province). 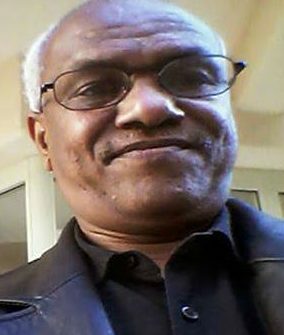 He is one those who lived in Eritrea, treated by us as brothers and sisters, but because of a few bad among us who used to call them “Agame”, he has so much hate in heart. He think this is the right time to take revenge. ኣብ ክንዲ ዘይትፈልጦ መበቆለይን ጠባየይን እትገልጽ፣ ነቲ ኣነ ዝጽሓፍክዎ እንተትምጉቶ መንእሰያት ብዝበልጽ ኣይምተማህሩን ዶ ኣይመስለካን ? እንድሕር ኣብ 19 ክፍለዘበን 100000 ኣቦታትናን ኣዴታትናን ካብ ትግራይ ዘይመጹ ኮይኖም ሞጉቶ።ኣነ ታሪኽ ተሞርኵሰ፣ነቲ ኣብ ገሽናሽም ዝርከብ ማህደር ተወኪሰ ድምበዛን ካብ ጎንደር ደምቢያ ከም ዝመጻእና ደጋጊመ ይገልጾ።እዚ እንታይ ዘሕምም ኣለዎ፧ ኢትዮጵያውያን ዝገብረና ተጋሩን ጎንደሬን ስለ ዝኾንና ኣይኮነን።የመን ኣዕራብ እዮም ስዑዲ ቃጣር ሶርያ እውን ኣዕራብ እዮም፣ግን ሃሃገሮም ኣለዎም።ምንም እኳ እቲ ክትዕ ኢትዮጵያውያን ዲና ኣይኮነን እንተዘይኮነ፣ ሓበሻ ምኳንና ዘረጋግጽ ጀመርትን ዓንዲ ሕቖን ናይ ኣቢሲንያ ንሕና ምዃንና እምበር ሓደ ቋንቋ ስለ ዝተዛረብና ኣይኮነን።ዳሕራይ ኣነ ኣብ ክንዲ ድምበዛናይን ወዲ ጉሕጭዓን ወዲ, ዓጋመ እንተድኣ ኮይነ እሞ ኤርትራውያን እንድሕር ኣተሓሒቶምኒ ፣ኣሕዋት ኣይኮንናን ክብል እንድዩ ዝግብኣኒ ??? ግን ከም ኤርትራዊ ትምጕት ስለ ዘለኻ ኣይሕዘልካን።ምንም እኳ ኣነ ኣእምሮን ሕልናን ስለ ዘለኒ ዓጋመ እንተመሰልኩኻ ሓማሴናይ እየ፣እንተዘይኮንኩ እውን መለስን ወያነን ነቲ ናይ ምጽወታ ነጻነት/charity independence ክፍርምዎ ከለዉ ንምንታይ ዓጋመ ዝመጽወቱልና ነጻነት ኣይንቕበልን ኢና ዘይበልና ??? Who is shifta ? : You and your cousins in Asmara. እንዳ ጃህራ ድራረንሲ ሰለስተ ሞጎጎ ኣርሲነን ጾመን ይሃድራ……. I don’t have words to express my appreciation to the writer of the comment above. He framed in few words the root causes of our current problems: silence and indifference. As ex-tegadalay myself I know what he is saying: “Jamahir” the units of EPLF public administration were implimenting Iseyas’ agenda. Since then we are in this situation of fear, reprisals and erosion of age old traditional values of solidarity and social justice.